Scientists say there has been a freak event in Greenland this month: Nearly every part of the massive ice sheet that blankets the island suddenly started melting. Nearly all of Greenland's massive ice sheet suddenly started melting a bit this month, a freak event that surprised scientists. 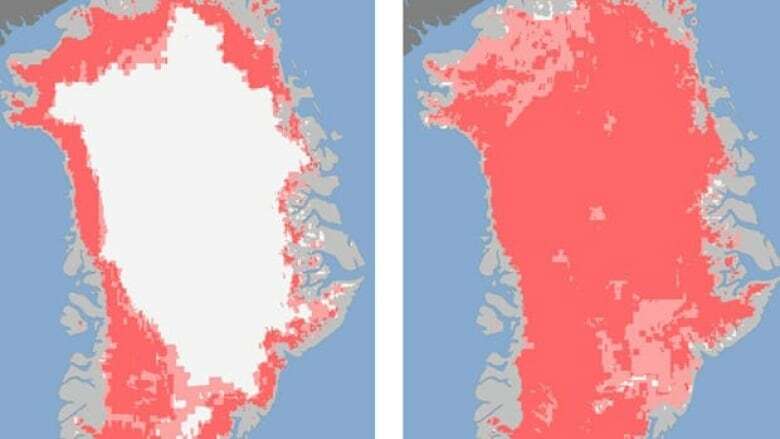 The ice melt area went from 40 per cent of the ice sheet to 97 per cent in four days, according to NASA. Until now, the most extensive melt seen by satellites in the past three decades was about 55 per cent.